We Are The Only Product On The Market That Allows You To Re-Brand! 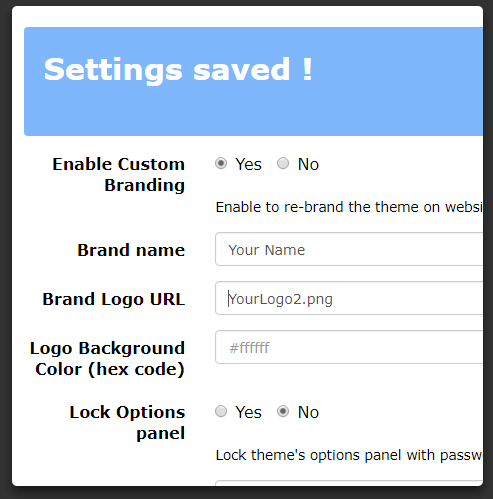 & Easily Lock Down Your Theme Options To Stop Clients Breaking Their Site! When You Build Agency Quality Sites You Will Be Charging Agency Level Prices. What You Are Using To Create Their Site! You also may not want your Clients, VA’s or staff to mess about with the theme options because you run the risk of them messing up their entire website. Then your stuck spending hours of your time trying to work out and fix whatever they changed. 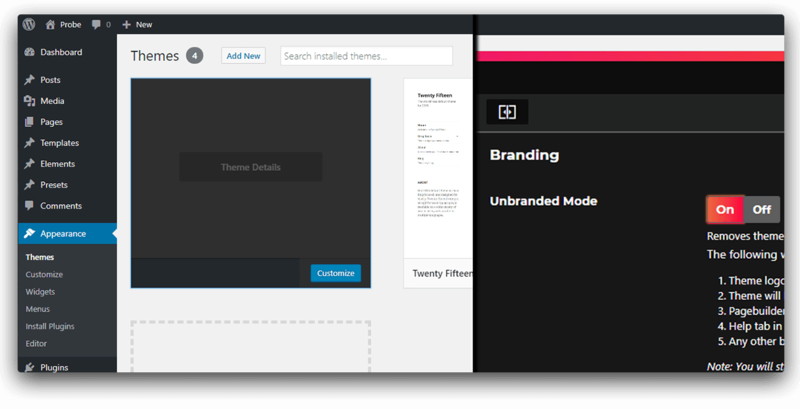 Making Your Sites Have a Higher Perceived Value As The Theme Looks As If It’s In House! Its Stupid Simple, Set the Options Once & Your Done! The add-on is added to your account and available for you to use instantly from the members area. Click Save & Your Done! 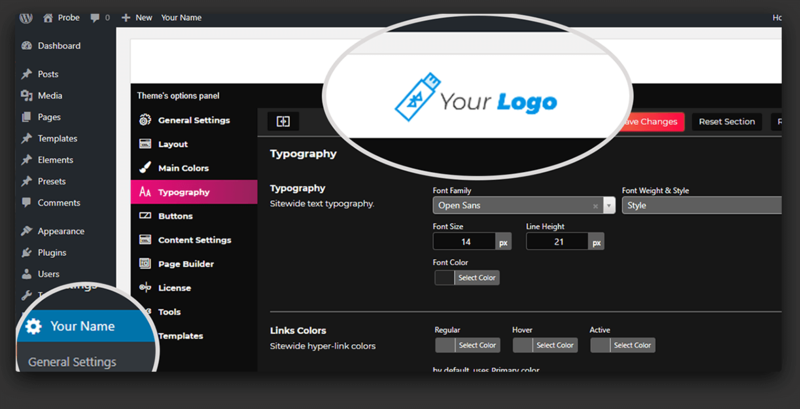 You can then head on over to any website you have ThemeMaker installed on and take a look at your custom branding! 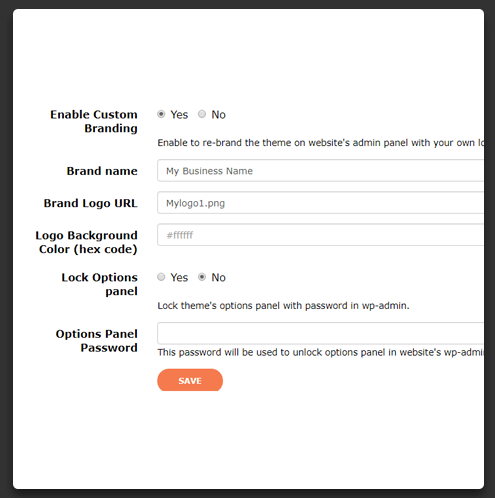 It’s That Simple & All Of your Websites Built Using ThemeMaker Will Use Your Branding! We Have A Generic Unbranded Version Which Is A Little Cheaper! So you can hide what your using from your staff, VAs & clients. 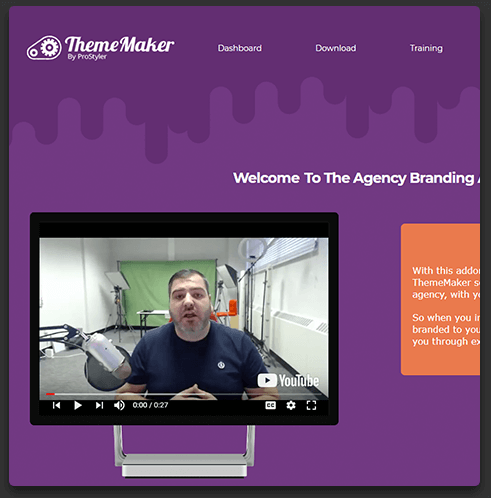 If at any stage in the next 14 days you’re not loving the ThemeMaker Agency Branding Add-on (we’re sure you will!) simply shoot my team a message with the word “refund” in the subject line and I’ll quickly return 100% of your investment. Cancellations & refunds are dealt with by our support team.